Something incredible is stirring as former night guard Larry Daley finds himself lured into his biggest, most imagination-boggling adventure yet. 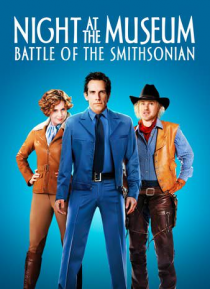 In this second installment of the Night at the Museum saga, Larry faces a battle so epic it could only unfold in the corridors of the world's largest museum. Now, Larry must try to save his formerly inanimate friends from what could be their last stand a… mid the wonders of the Smithsonian, all of which suddenly have a mind of their own.